The West Australian Football Commission (WAFC) is the caretaker of football throughout the State and is responsible for the overall development of the game. 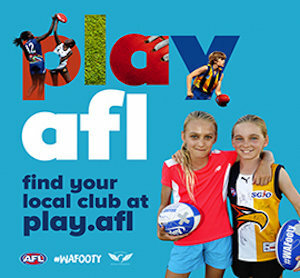 The WAFC’s role includes ownership of the State’s two AFL teams – the West Coast Eagles and Fremantle Football Club, guiding the West Australian Football League (WAFL), overseeing community football, managing umpiring, and driving participation through game development and the talent pathway. The WAFC is a not for profit sports association. It is incorporated under the Associations Incorporation Act and governed by a voluntary Board of Commissioners that oversees the operation of all football activities throughout the State. The WAFC features more than 100 employees spread across the State. 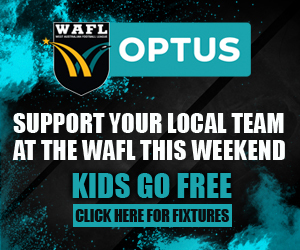 The WAFC plays an important role in funding the ongoing development of football via our affiliates, schools, competitions and academies across all WA communities. This ensures that football is the best resourced sporting code in the State and can have the most active role in building better communities through various development programs. The rich history of football in the community of Western Australia stretches back to 1885. Today it is the most popular sporting code in the state with 105,000 club participants, of which from Auskick to Seniors, 7% identify as Aboriginal and Torres Strait Islander. This results in a significant social benefit and the creation of better communities through the active promotion of the sport and its associated values of teamwork, responsibility, respect, leadership, commitment and community participation. While many of these benefits have long been the result of our activities, the West Australian Football Commission has both harnessed and harvested those activities delivering these benefits, and used the understanding to develop the most comprehensive community benefits programs in Australia.